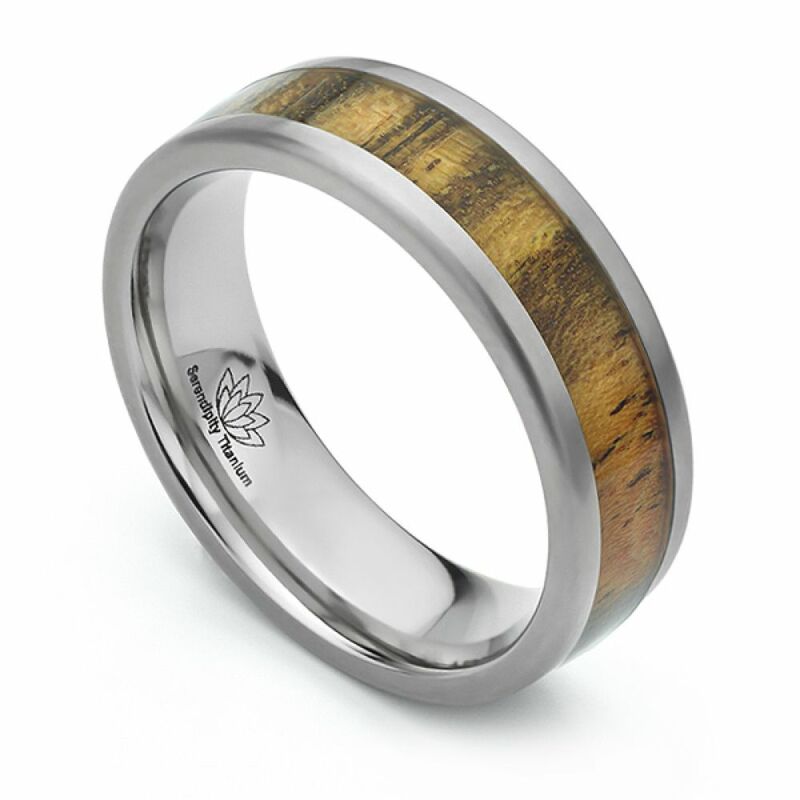 Bocote wood inlaid Titanium wedding ring, created with a flat court profile, featuring a natural Bocote wood inlay and completed with a satin finish. Our Bocote wood inlaid Wedding Rings feature a beautifully warm yellow-brown natural wood, applied as an inlay around a 7mm wide flat court profile band. The Titanium ring features soft edges and a beautiful matte brushed finish. Highly popular, each wood inlaid Wedding Ring is precision engineered to order and crafted in your choice of responsibly sourced wood. The inlay measures 4mm in width and work takes approximately 3-4 weeks for your ring to be made. Upon completion, we hand-deliver your ring by secure courier, beautifully boxed and ready to wear. We provide a free ring sizer and have a selection of loan ring size examples available to double check your size ahead of placing the final order. See the button below to check your correct finger size. Bocote (Cordia eleagnoides) is a small tree logged by hand with mules in a selective cutting method in Southern Mexico that is very sustainable and responsible. Bocote is related to Ziricote and possesses some similar characteristics including black lines, density, and overall appearance. The wood is exceptional to turn, with a natural silky smooth polish that is easily attainable. The colour is a warm yellowish brown, with dark patterns in swirls.